Set to slink in front of the cameras before the year’s end – according to series star Robert Downey Jr., at least – Sherlock Holmes 3 is beginning to collate all the necessary pieces of the puzzles in preparation for a production start. Chief among those is screenwriter James Coyne, who has now been tapped to pen the script for Warner Bros.’ long-gestating sequel. Word comes by way of Deadline, confirming that Warner is aiming to reunite Downey Jr. with his literal partner-in-crime, Jude Law – returning as John Watson – and director Guy Ritchie. It’s that core trifecta that fired Sherlock Holmes to international success some years ago, even factoring in the somewhat disappointing sequel, A Game of Shadows. Ritchie’s decidedly British aesthetic married with Downey Jr.’s charismatic turn as the world-famous sleuth was a hit with moviegoers and there’s been a tangible buzz of excitement now that another entry into the series is fast becoming a reality. 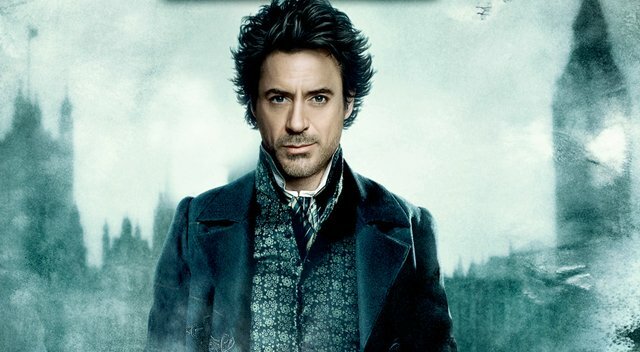 Five years have passed since said sequel graced the silver screen, and last week’s report from Shortlist indicated that Downey Jr. had an idea in place for Sherlock Holmes 3. Coyne’s first port of call, then, will be to wrangle that vision into shape, potentially putting Warner’s clandestine threequel on course for a theatrical release in the latter stages of 2017. Before that, all signs point to Robert Downey Jr. donning the deerstalker hat later this year when Sherlock Holmes 3 is pegged to enter production in earnest. That’ll come at a time when the actor is dusting himself off from a monumental superhero tussle in next month’s Captain America: Civil War, as he gears up for a part opposite Tom Holland’s webslinger in 2017’s Spider-Man: Homecoming.